CFSP-Chapter 31 is ISAC’s flagship program since the opening of the EU negotiations. It focuses on challenges and opportunities stemming from Serbia’s negotiations in Chapter 31 (Common Foreign, Security and Defense Policy), in particular regarding the alignment of Serbia’s foreign policy with the Common Foreign and Security Policy (CFSP) but also other issues that fall into this Chapter. Under this program, ISAC engages in monitoring of Serbia’s alignment and produces two reports a year which thoroughly analyses Serbia’s harmonization percentage and indicates areas where Serbia did not align. It also focus on raising awareness about the importance of harmonizing Serbia’s foreign and security policy and seeks to provide key decision makers, including Serbia’s Negotiation Team for Accession to the EU, the Ministry of Foreign Affairs and Ministry of Defence, with substantive analysis and recommendations on how to most efficiently carry out the necessary tasks which fall under Chapters 31. 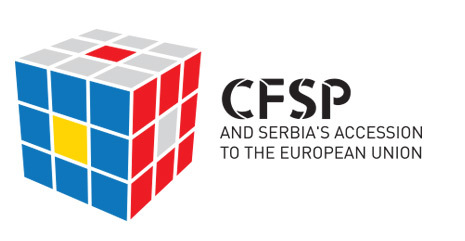 Finally, this program is also used to provide information about the new initiatives within the CFSP, the new Global Strategy and overall EU foreign policy approach, to serve as an example to Serbia in terms of its own foreign policy approach. This program is currently being supported by the Swedish Ministry of Foreign Affairs and the Fund for Open Society. Conference: Europe Post Elections and Prospects for a Multi-speed Europe in Area of Security and Defence – What are the Next Steps?